We just played our first gig in seven months as a band. If you recall bassist Ed Hanrahan had double knee surgery and has been on the disabled list since last year. But we got to Sweetwater 905 Festival outside Rolla BC and hit the stage at midnight firing wildly in all directions. Ed was so happy to be back. We were so happy to have him back. We were so happy to be back. The crowd exploded with joy and so did we. So we’re back!! That same weekend we also recorded 3.5 hours of footage for a 3.5 minute long music video that’s in production. No More Trouble In the Peace will be the first official music video of this album – and with any luck it’ll be public midsummer. Josh Trotter Wanner did the filming with us in locations such as the Sweetwater Festival, the Rolla Pub, the Peace River and more. The album No More Trouble in the Peace is now mastered and the artwork layout has begun. The album will be released in mid-September and we are currently booking the release shows which I ambitiously hope will take place in many towns across the BC. More on that later. Upcoming shows!! 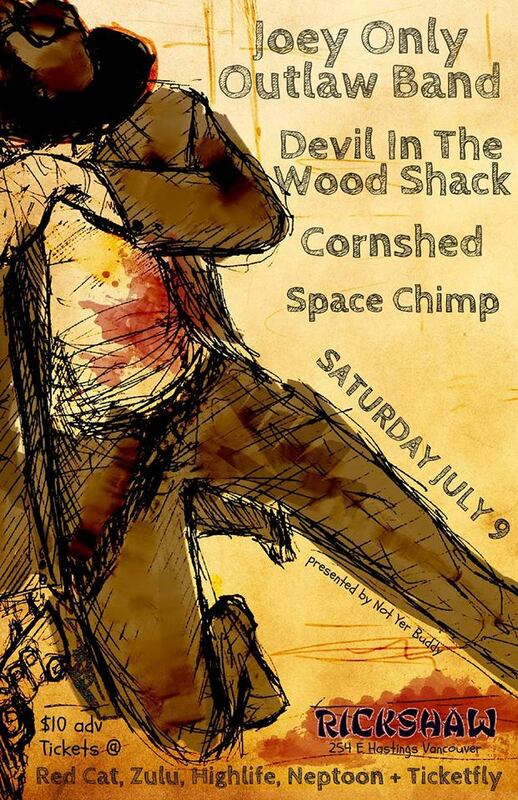 You can find us at the Haney in Maple Ridge on July 8th and the next night (July 9) in Vancouver at the Rickshaw Theatre with a slew of great bands such as Devil in the Woodshack. It’ll be a legendary show, all the bands involved are noteworthy! There’s a rumour we’ll be opening for a famous Canadian classic rock band in July as well but no confirmation on that yet. Then I’ll be in Bonnyville Alberta on July 23rd for Malcolm Maclean and Jeny Soucy’s wedding with Edmonton’s best outlaw band the Give Em Hellboys. 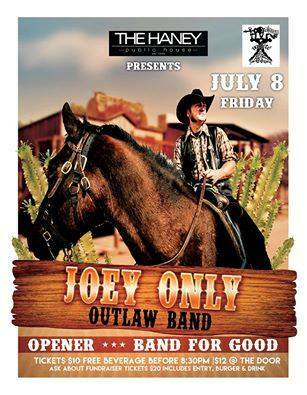 The rodeo is in town there that weekend so I’ll be playing a show there as well as another in Red Deer (which will be announced in two weeks time). The end of July brings Artswells which I will play at for the 11th consecutive time. I have now played more Artswells Festivals than any other singer songwriter. The line-up looks great again this year. The next weekend I attend once again an annual private party called Camballah before we get to Robson Valley Music Fest the next weekend on August 13th. August 20th we’ll be at Music On the Mountain in Fort St.James opening up for the legendary punk band DOA. My summer season always ends with Barkerville Cowboy Festival on September 10th. From that point forward we start our CD release shows…details on that will come out next month! Already I can tell you we’ll be at the WISE Hall in Vancouver on October 9th!! This is gonna be a fun summer…but I’m already looking forward to the fall and our album launch. This entry was posted on Monday, June 20th, 2016 at 7:53 pm	and tagged with Artswells, Devil in the Woodshack, DOA, Ed Hanrahan, Joe Keithley, Joey Onley, Malcolm Maclean, MoM, Music on the Meadow, Music On The Mountain, No More Trouble in the Peace, Rickshaw, Robson, Robson Valley Music Fest, Sweetwater, Sweetwater 905, The Haney and posted in Canada, creative writing, folk music, Joey Only Outlaw Band, Outlaw Band Blog, press release, radical folk, Shows. You can follow any responses to this entry through the RSS 2.0 feed. See you at both shows maybe?